Florent Manaudou has been the story of the French Short Course National Championships, success which he hopes to extend through next weekend at the European Short Course Championships which run from December 12th-15th in Herning. 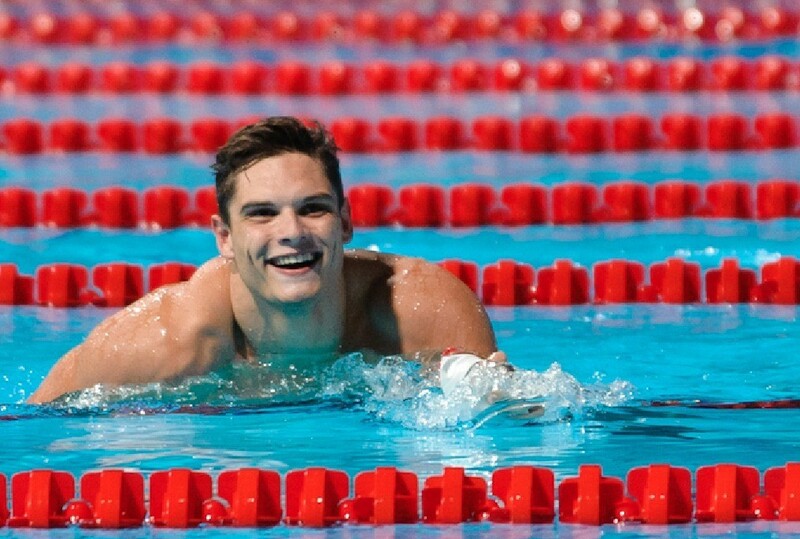 On Friday Manaudou posted the top time in the world in the 100 freestyle (45.04), on Saturday he took over the same spot in the 100 IM (50.96) and today he broke the French national record in the 50 butterfly posting a time of 22.11 good enough for second in the world rankings behind South Africa’s Roland Schoeman who recorded a 22.05 at the World Cup in Berlin. Manaudou took down Frederick Bousquet’s 2009 French record of 22.17. He is now the top ranked European going into Herning, with Germany’s Steffen Deibler following closely behind. Stravius finished second to Manaudou in Dijon posting a time of 22.82, but was eventually disqualified. Due to that disqualification Mehdy Metella finished second in a time of 22.35 followed by Andrea Bolognesi who touched in a time of 23.58. 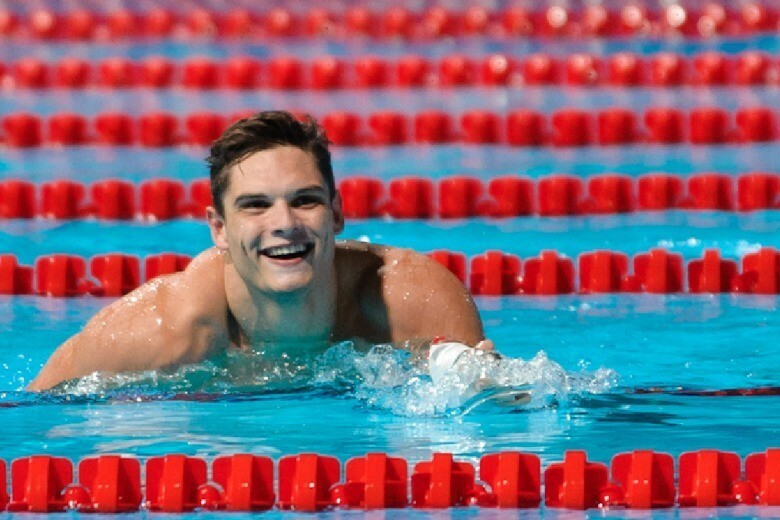 Later in the evening Manaudou went on to set a new championship record in the men’s 50 freestyle in a relay lead off position recording a time of 20.62. Although it is faster than the 20.79 he posted to win the event it is still not enough to catch Vlad Morozov in the world rankings who put up a 20.59 at the Moscow World Cup. Nice teammates Camille Muffat and Charlotte Bonnet had an incredible race in the women’s 200 freestyle with both women landing in the world’s top ten. Muffat lead from start to finish with Bonnet making her charge let finishing just two one-hundredths of a second behind Muffat. Muffat took the event in a time of 1:53.80 with Bonnet posting a time of 1:53.82. Those times put them seventh and eighth in the world rankings. Mylene Lazare finished third in a time of 1:56.56. The men’s 200 breaststroke was a closely contested battle with the top three men being separated by only 48 one-hundredths of a second. Quentin Coton took the event in a time of 2:08.37 followed by William Debourges who posted a time of 2:08.43. 17 year old Jean Dencausse set yet another French age group record in the event touching in a time of 2:08.85. 15 year old Theo Charrade who finished ninth also set a new age group record finishing in a time of 2:16.03. After being disqualified in the 50 butterfly at the start of the evening Jeremy Stravius returned to the pool to take the men’s 200 freestyle in a time of 1:44.44. It was not an easy win for Stravius who was pushed by Clement Mignon who finished second in a time of 1:44.92. Lorys Bourelly and Valerio Coggi finished tied for third with both men posting a time of 1:46.92. Anna Santamans took the women’s 50 freestyle in a time of 24.69. She was followed by Beryl Gastaldello who finished second posting a time of 24.80 and Margaux Fabre who recorded a time of 25.08. Lara Grangeon won the women’s 400 IM in a time of 4:37.74 she was followed closely by Fantine Lesaffre who recorded a time of 4:38.25. Isabelle Mabboux finished third in a time of 4:42.44. Cloe Credeville took the women’s 200 backstroke in a time of 2:09.94 followed by Marie Buresi who posted a time of 2:11.17 and Alice Boutant who finished in a time of 2:12.45. Jean Dencausse is 16 years old. Reminds me a bit of Ed Moses’ career trajectory- came into swimming relatively late after concentrating on golf as a young teen. Or Breeja Larsen only going year round in swimming at around age 18 after spending high school also playing softball and volleyball. For some reason, breaststroke seems more open to those kind of high level late bloomers. These youngsters going so quickly.. It’s crazy. I saw a boy here in Britain swim 2.31 for 200Br a few months ago, he was born in the 00’s – That made me feel old, then a girl also born in the 00’s came along and swum 2.34 for the same event, the 00’s generation is beginning to show! It’s great to see these youngsters swimming so quickly. It’s a good thing that Manadou is French, had he been a chinese, many would point out at him for using steroids.